The speedway season is almost here. 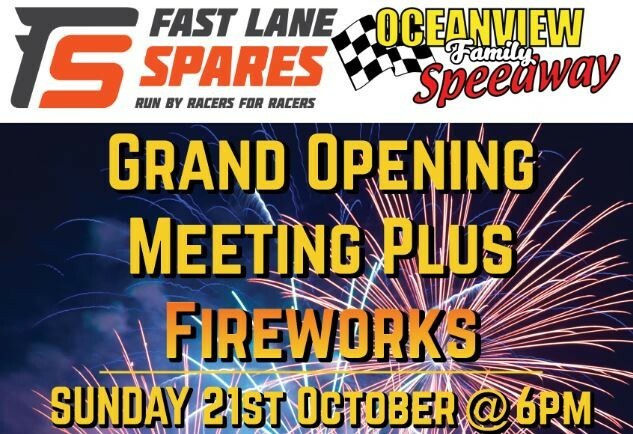 Fast Lane Spares Oceanview Family Speedway roars into life on Sunday 21st October at 6pm with our Grand Opening meeting. 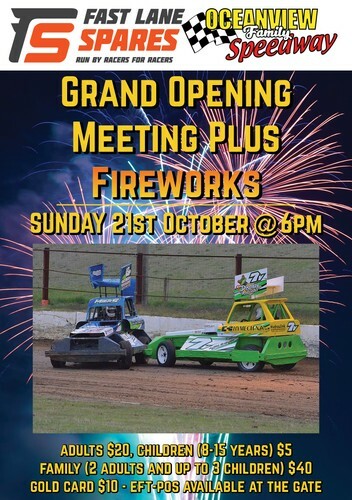 There'll be fireworks on the track, and there'll be fireworks in the night sky as well as we start the season in explosive fashion! Come on out and enjoy an evening of fun for the whole family.